If there’s one question I had before visiting Macedonia, it was “how much money do I need?”. The travel blogging world seems fairly void of any articles on Macedonia and the main consensus, from the few articles I found, was that “it’s cheap” – but how cheap exactly?! So here I am, setting out exactly how much money I spent in Macedonia. Maybe I’ll turn this into a “thing” with my future travels! The currency is Macedonian Denar but Euros are commonly accepted for larger items such as long taxi drives and hotel costs. You are unable to exchange money to Denar outside of Macedonia. You will therefore need to use banks in the country to withdraw your cash. We used an ATM in the city centre of Ohrid and had absolutely no problems. Careful budgeting is therefore key to ensure you don’t have tonnes of excess cash to spare at the end of your trip (unless you want an excuse to buy ALL the chocolate in the airport on the way home)! People travelling: 2 (some costs such as taxi journeys are therefore divided by 2). Travelling style: Mid-range. We chose to stay in a nice hotel and have a really relaxing trip. For my entire trip to Ohrid, I spent the equivalent of £108.80. This is including accommodation, food, drinks, sightseeing and transport. Pre-arrival costs such as flights are not included as these vary so much! Now accommodation is a tricky one, we could have picked somewhere cheaper to stay. We also could have picked somewhere more expensive to stay. We were also travelling in off-season. 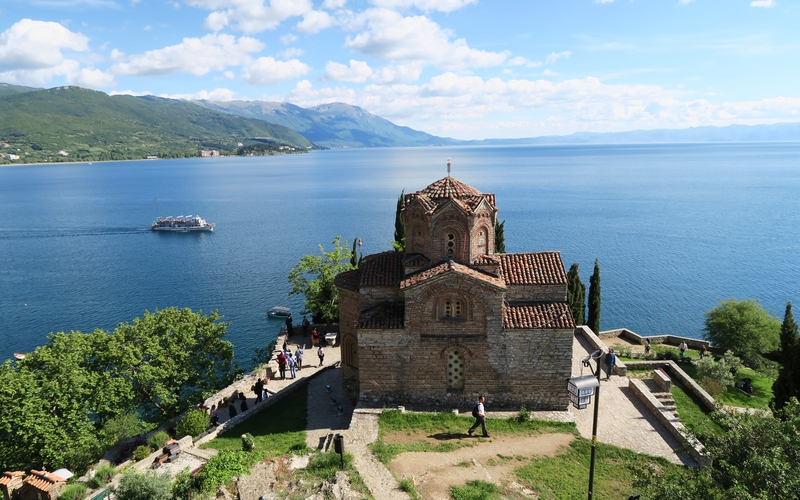 Most articles that I have read about Ohrid suggest visiting in June – September, as we were travelling in May, we could have experienced slightly lower prices than the average traveller. The prices for August 2016 on booking.com only seem marginally more expensive than what we paid for May – so you might be in luck if you’re travelling in Summer! We chose to stay at Villa Kale and we couldn’t be happier with our choice. The family that own the hotel were helpful beyond words and always made sure that we were happy and satisfied. 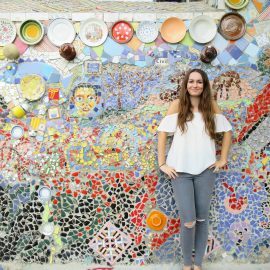 There also appear to be some really great hostel choices on HostelWorld with some well-reviewed options having dorm rooms from as little as £4.24 per night in summer 2016 – perfect for backpackers! 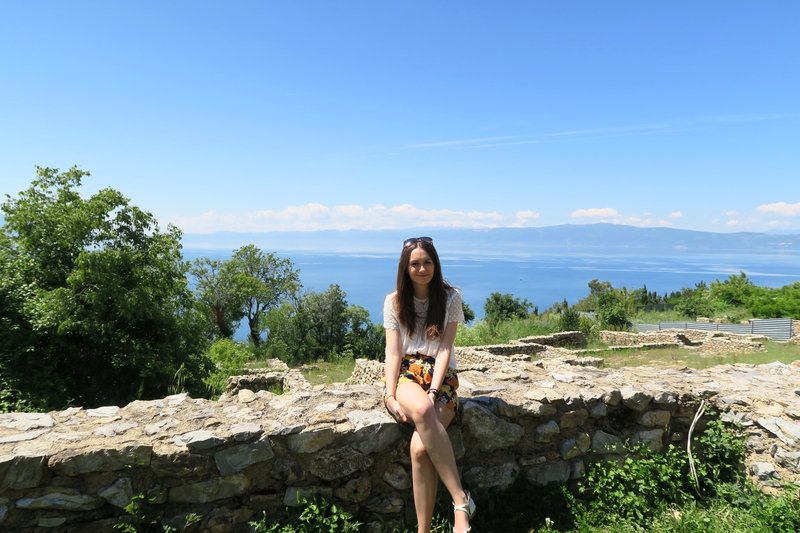 We were in Ohrid for a relaxing time and to do a lot of exploring. As we visited in off-peak season, there wasn’t too much night-life going on (although according to our hotel staff, this changes in summer), therefore not much of this total is for alcohol. We could have spent less on food but we decided to have a three course meal with wine and beer at one of Ohrid’s more expensive restaurants (Gladiator) and it was definitely worth it! We ate on the balcony overlooking the lake at sunset – perfect! 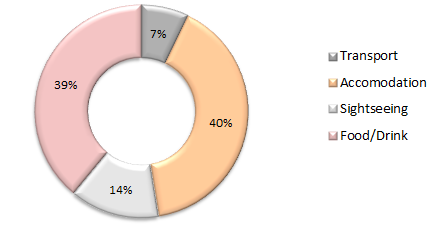 Considering we were in Ohrid with the primary focus of sightseeing, I am pleasantly surprised at how low this total is! 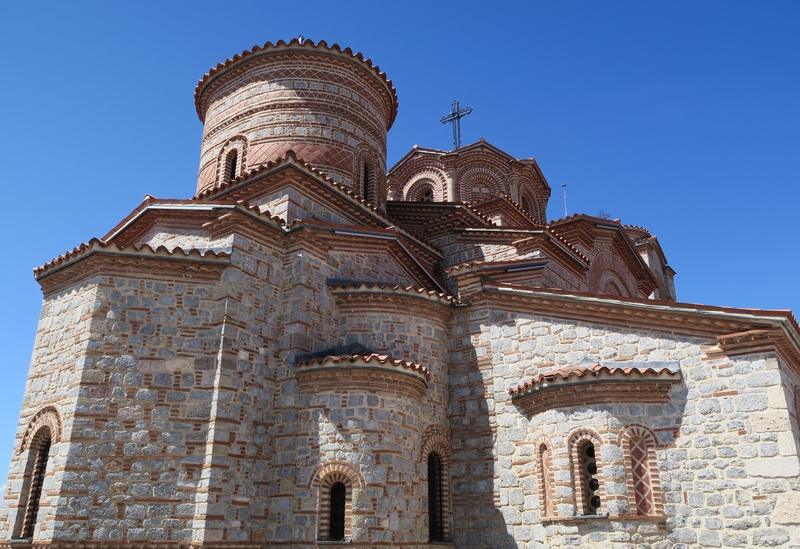 A lot of Ohrid’s sights are monasteries, galleries and small things to see and do. The entry fee for each was usually around 100 denar (around £1.25). The most expensive activity was a 600 denar half-day boat trip to St Naum and back. Definitely worth doing if you’re in the area! I was tempted to do a tandem paragliding flight over the lake which would have set me back 59 EUR. We ended up not doing the flight but I’m sure it would have been worth the cost! The only item included in this section is the taxi ride from Ohrid airport to the hotel and the return journey at the end of our trip. Our hotel organised this taxi journey for us and it was 10 EUR each way (the above total is made up of 2 journeys divided by 2 people at the exchange rate for May 2016). 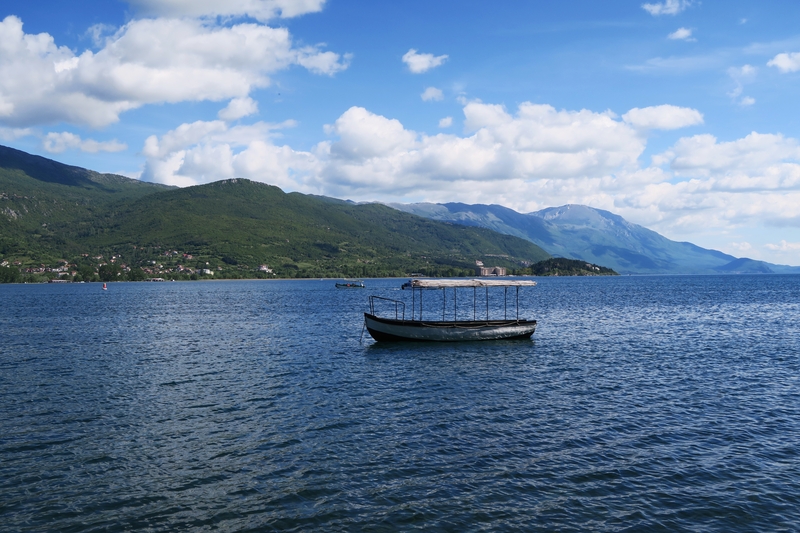 Ohrid is well connected to other Macedonian cities and buses are available to various locations such as Skopje, Bitola, Prespa etc. The prices we saw for these journeys looked very reasonable – be sure to haggle any taxi prices, our hotel staff made us aware that taxi drivers might try to rip off tourists. Ahhh I cannot tell you how happy I am to have found this post! Me and my hubby are off to Ohrid on Wednesday for 4 nights and had no idea about costs! Our hotel is already sorted! This was a great post as it was difficult to find anything else online to be honest! Is it best to take a bunch of Euros with us to exchange or is it easy enough to use my debit card in a local ATM? have a few blog posts to write about the city but I don’t think any will be live before your trip :-(. Ohh such a bargain. We just did some of Eastern Europe and now Macedonia is firmly in my need to visit list, it looks so gorgeous!